Rabbit anti human TRPC6 antibody recognizes short transient receptor potential channel 6, also known as TRP-6, focal segmental glomerulosclerosis 2 or transient receptor protein 6. This antibody has been extensively validated for western blotting using whole cell lysates. Rabbit anti Human TRPC6 antibody recognizes TRPC6, also known as TRP-6, focal segmental glomerulosclerosis 2, short transient receptor potential cation channel 6 subfamily C, member 6 and transient receptor protein 6. The protein encoded by the TRPC6 gene forms a receptor-activated calcium channel in the cell membrane. The channel is activated by diacylglycerol and is thought to be under the control of a phosphatidylinositol second messenger system. Activation of this channel occurs independently of protein kinase C and is not triggered by low levels of intracellular calcium. Defects in TRPC6 are a cause of focal segmental glomerulosclerosis 2 (FSGS2) (provided by RefSeq, Mar 2009). 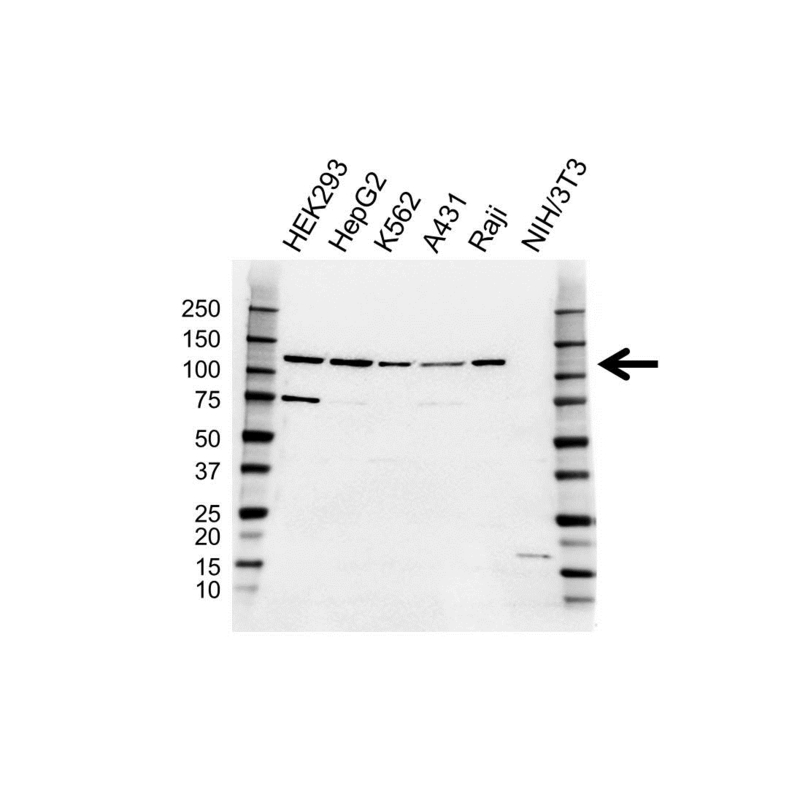 Rabbit anti Human TRPC6 antibody detects a band of 106 kDa. The antibody has been extensively validated for western blotting using whole cell lysates.